I love holidays, and I thought that having a holiday blog would be amazing. However, there’s a catch. A blog about holidays should have amazing pictures of holiday celebrations, and I never remember to take pictures during holiday celebrations. I’m always too busy having fun to stop and take pictures. I sometimes wonder if all the faux-celebrities on Instagram actually ever get to enjoy any of the soirées that they attend because their pictures must take a lot of time to get right. Jono bought me these Easter candies after Easter, which made them more delicious because they were half off. On Easter, I made key lime pie for the first time ever. It is my husband’s favorite pie. I even decided to get fancy and make a delicious pecan crust. It was super easy to make, and even easier to polish off. 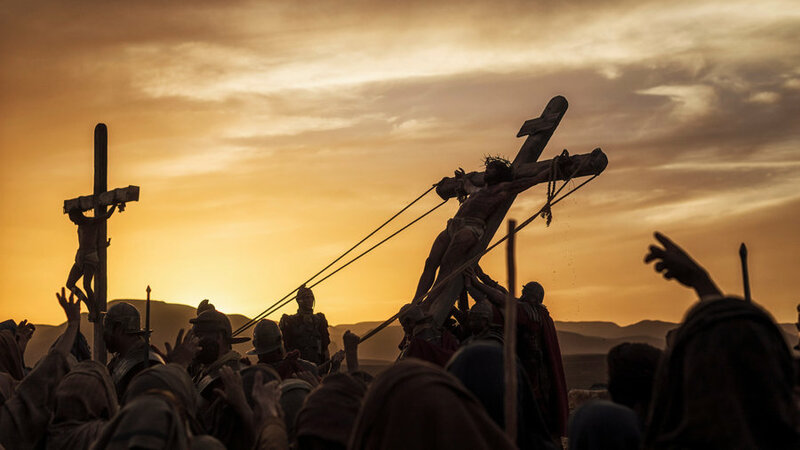 Easter Sunday also kicked off the mini-series A.D. The Bible Continues. I wasn’t excited about watching another Biblical series because they can get a little stale. However, this production is very well-made (not just tolerable). Jono and I actually look forward to watching this show every Sunday. Check it out at Sunday nights at 9:00 on NBC. 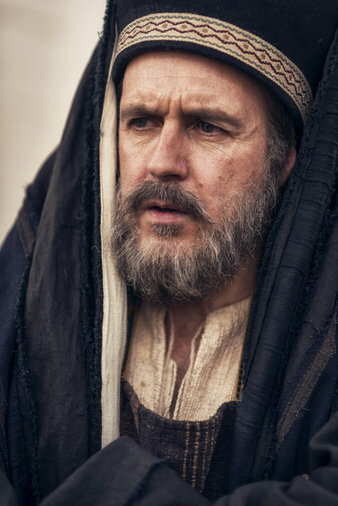 Also, Downton Abbey fans might enjoy seeing Kevin Doyle, AKA Mr. Molesley, as Joseph of Arimathea. Okay, I think we’re all caught up now. Wait, I forgot to tell you about last weekend. That can wait for another day. Let’s talk about my nails. I can’t quite get the neon colors to show up quite right. 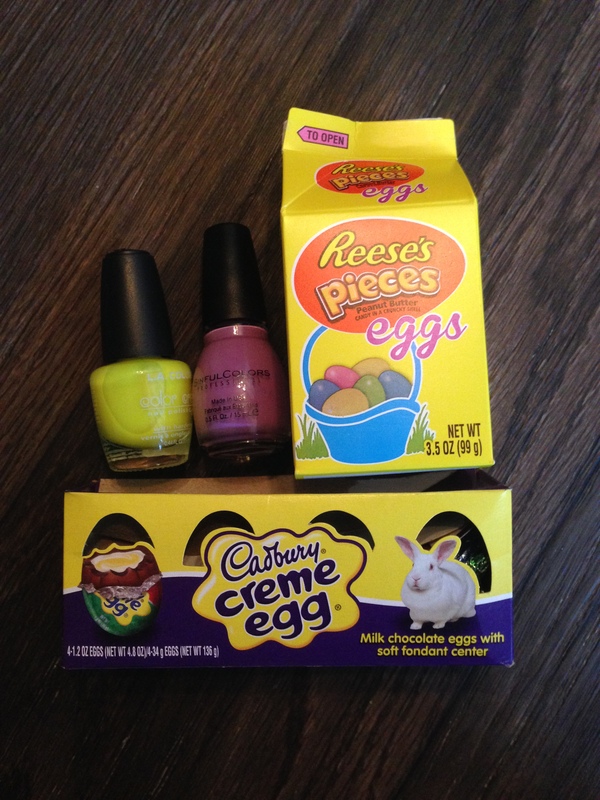 The base color is the highlighter yellow color pictured with my Easter candy. A sweet friend gave it to me. It was quite sheer, so I had to layer it over white. 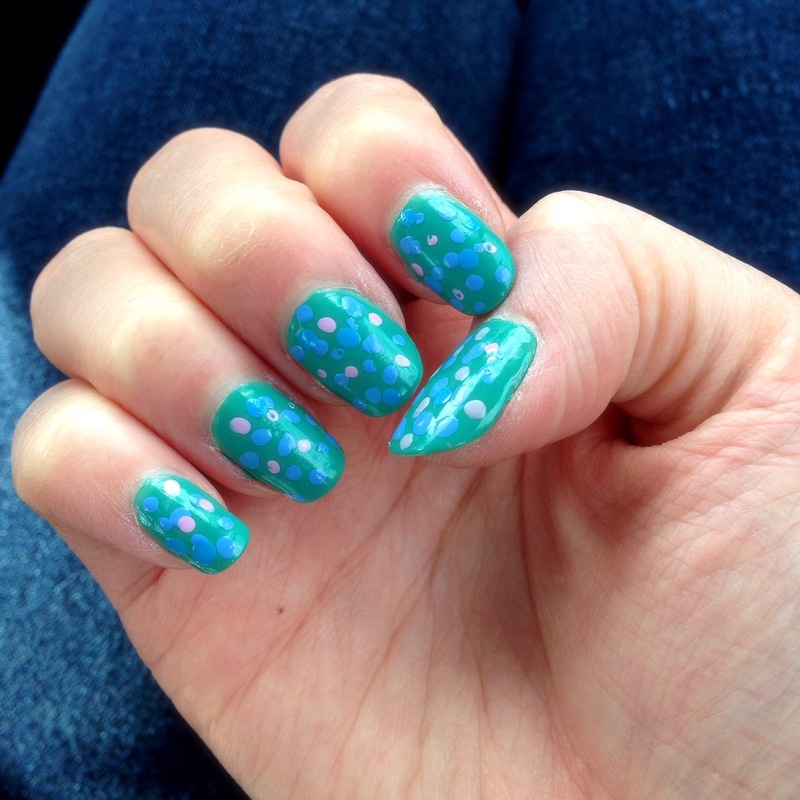 Unfortunately, I only have a cheap Wet n Wild white, which is quite streaky. 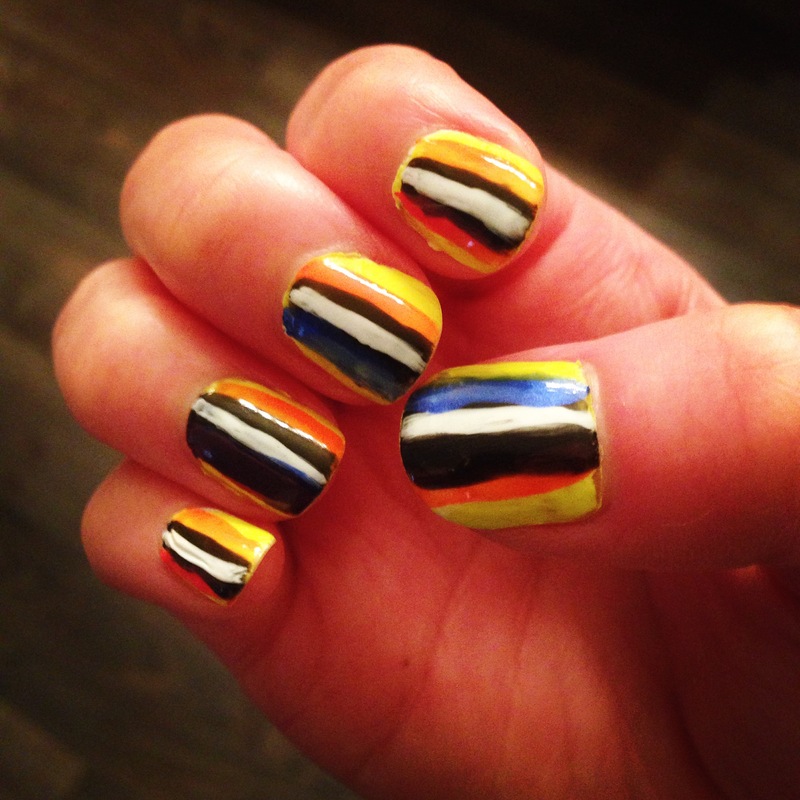 I decided to paint stripes over it to hide the uneven color. It looks better in real life. I hope that you had a blessed Easter. P.S. My husband makes the best deviled eggs.